In the Missal and Breviary of St Pius V, July 13th is the feast of Pope St Anacletus, which was carried over from the pre-Tridentine editions. 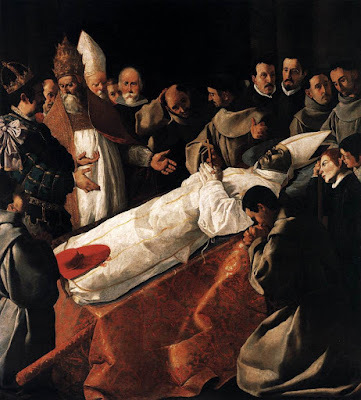 The 14th is that of St Bonaventure, who died in 1274, while attending the Second Council of Lyon, and was canonized in 1482 by Pope Sixtus IV (1471-84), his fellow Minister General of the Franciscan Order. His feast was originally kept by the Franciscans on the second Sunday of July, but in the Tridentine books, it was fixed to July 14th. The Acta Sanctorum gives an account of the uncertainty about the proper date of his death, but it is now generally agreed from the earliest accounts that he actually died on the 15th. 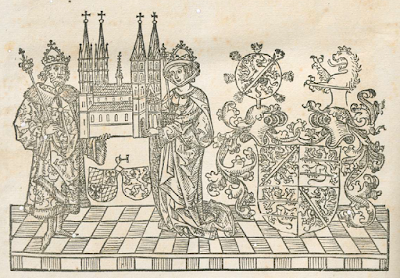 The Holy Roman Emperor St Henry II died on July 13, 1024, and was canonized by Blessed Pope Eugenius III in 1146. The See of Bamberg, Germany, which he founded, and in whose cathedral he is buried, traditionally kept his feast on the day of his death. He was added to the Roman Calendar in 1631 on the same day, as a commemoration on the feast of St Anacletus. When he was given his own feast in 1668, it was assigned to July 15, then the first free day after that of his death. By the time St Camillus de Lellis was canonized in 1746, Our Lady of Mt Carmel had been assigned to July 16th, and St Alexius (whose very existence is rather doubtful) to the 17th. He was therefore place on the 18th, and the Saints previously kept on that day, an early Roman martyr named Symphorosa and her 7 sons, reduced to a commemoration. Pope Anacletus is now recognized to be the same person as Pope Cletus, who shares his feast with Pope Marcellinus on April 26th. For this reason, a decree of the Sacred Congregation of Rites issued on February 14, 1961, ordered the July 13th feast to be completely removed from the calendar. Although the current EF calendar therefore has July 13th as a feria with no feast at all, and St Alexius as a commemoration, Bonaventure, Henry and Camille all remain effectively displaced by Anacletus. They were reordered in the OF Calendar, so that each would be kept on the day of his “birth into heaven,” with St Henry on the 13th, St Camille on the 14th, and St Bonaventure on the 15th. St Alexius has been completely removed. 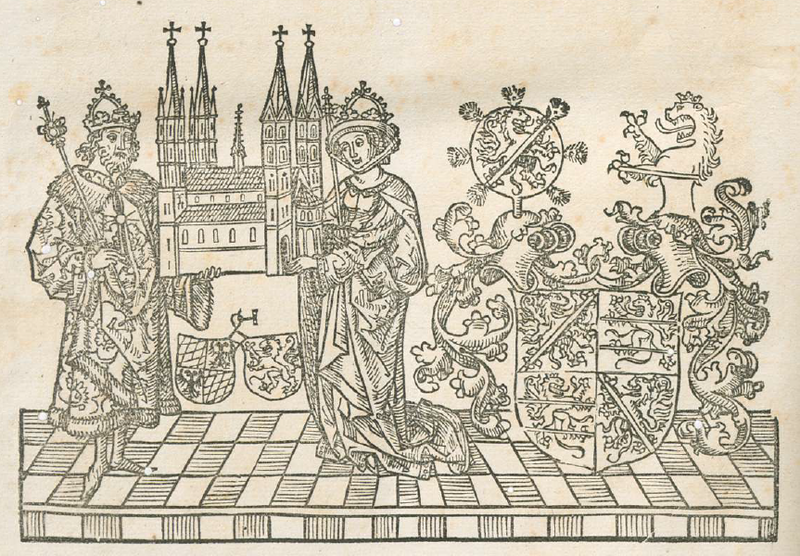 An illustration from a 1501 Breviary according to the Use of Bamberg; St Henry and his wife, St Cunegond, holding the cathedral of Bamberg, which they founded in 1002, together with the See itself. As I have written before, there have always been Saints’ feasts which were kept on different days in different places, and the divergence between the temporal cycles of the EF and OF is far more significant than the differences in the two calendars of Saints. The principle that a Saint’s feast should be assigned to his death day is a very ancient one, but has never been the sole criterion for choosing a day. A very prominent recent example is Pope St John Paul II, who died on April 2, 2005; since that date often occurs in Holy Week or Easter Week, his feast day is kept on October 22, the date of his inauguration. Nevertheless, we have here in July an occasion where the two calendars might easily be reconciled with no harm done, when and if the time comes to thaw the EF Calendar.